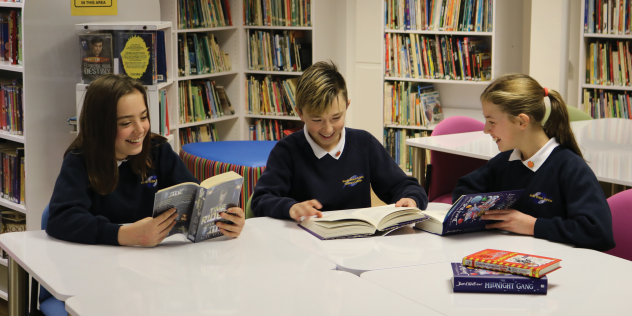 With a range of practical functions to perform, it was crucial that the LRC at Meole Brace School was designed in such a way as to allow for all of the different activities that needed to take place there. 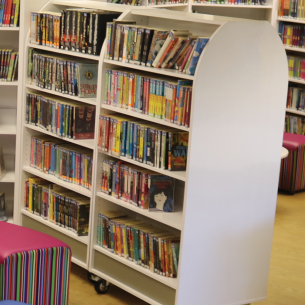 With flexible seating and tables that can be reconfigured to suit a range of purposes, plus ample shelving to accommodate a healthy book stock as well as a statement librarian’s desk, the final design certainly ticked all of the boxes for practicality. 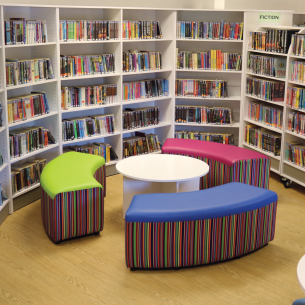 The contemporary Gloss White finish on the shelving and vibrant pops of colour on the upholstered items also mean this room definitely has the wow factor that the school was looking for. Ideal for individual research, homework, or for use as a teaching space, the versatile tables allow the room to fulfil a variety of purposes. They can also be separated for use in exams. 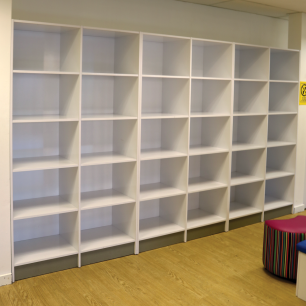 The generous cubby holes in this custom designed unit provide a convenient place for students to stow away their bags. 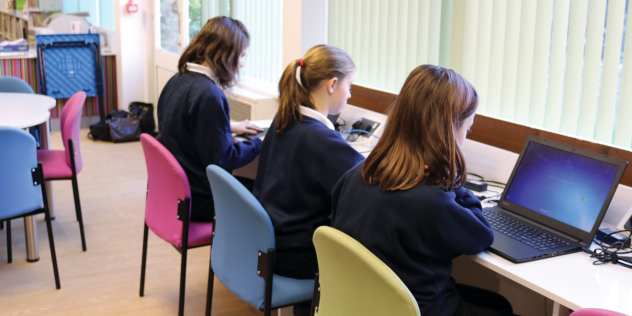 Traditional IT benching provides a location for desktop PCs which is within the sightlines of the Librarian’s desk for unobtrusive supervision. 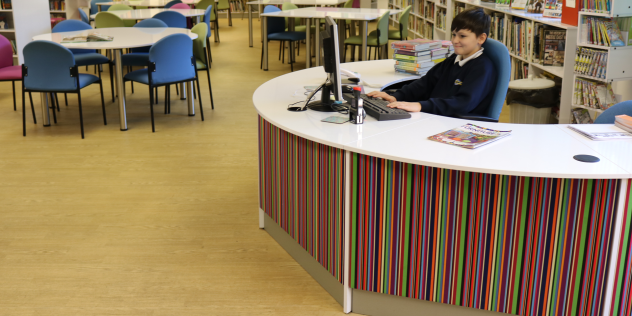 Placed in a welcoming position facing the entrance door, this curvy desk creates an eye-catching focal point and also gives the librarian an uninterrupted view of the whole room.